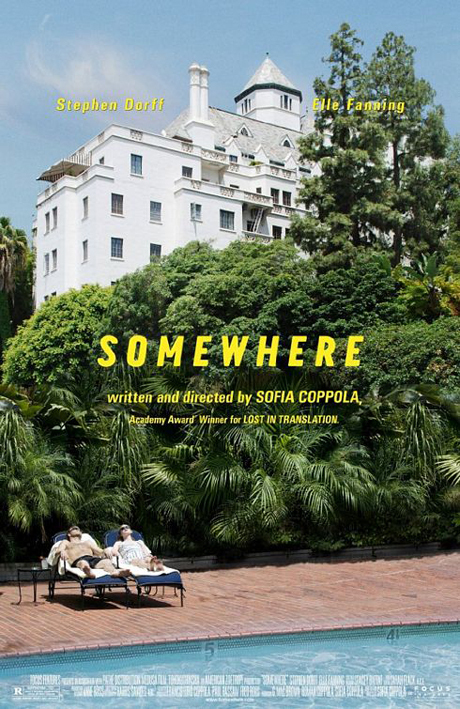 History dictates that Sofia Coppola movies will inevitably not be as good as their posters, but this new one for awards-hopeful Somewhere might just be good enough to overcome the trend. Abso-loving the typeface. Ideally I’d have done a big thing on this, full of annotated pictures and graphs and funny little taglines, but I’ve got a really bad cold at the moment so I didn’t really feel like doing any extensive blogging. I thought it might just be hayfever but I don’t really get hayfever unless the pollen count gets really high and it’s carried on for a while now, so it must be a proper cold I reckon. Edit: There’s a trailer now as well.